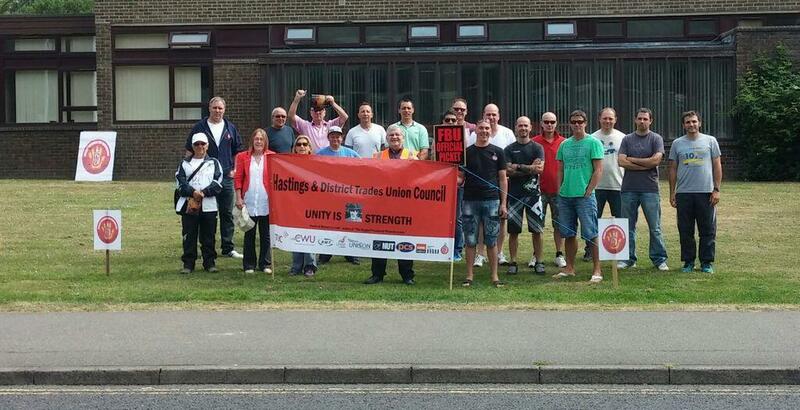 Sussex LRC will be actively supporting FBU, GMB, NUT, PCS, UNISON, and Unite when the six unions strike on Thursday 10 July 2014. 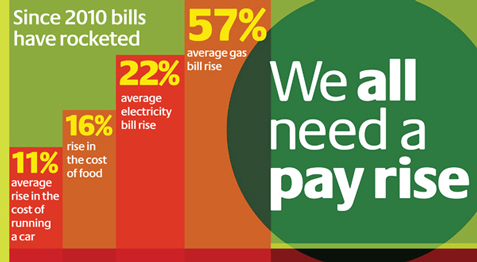 Five years of pay freezes and below inflation pay caps have had a hugely damaging impact on the living standards of all public sector workers. If pay had kept pace with inflation, average civil service pay would be £2,300 higher than it is now, and TUC analysis shows that the average public sector worker is £2,245 worse off in real terms since the Coalition took office. In local government, where almost two thirds of the workforce are paid below £21,000 a year and around half a million workers are paid less than the Living Wage, workers will have experienced a real terms pay cut of 18% by the end of 2014. Office of National Statistics figures suggest that over 400,000 jobs have gone from local government since the Coalition came to power. This scale of job losses has been hidden as recruitment freezes and the deletion of vacant posts need to be added to known compulsory and voluntary redundancies. With increasing workloads for those left behind it is no surprise that 86% of respondents to a UNISON survey of local government members reported that their stress levels had increased: 84% said that stress at work was affecting their job performance and 83% reported that stress was also affecting their personal life. Meanwhile, Coalition ministers talk of maintaining these real terms cuts until 2018, are planning to raise the retirement age to 60 for frontline firefighters, and to 68 for teachers who are also averaging 60 hour working weeks. 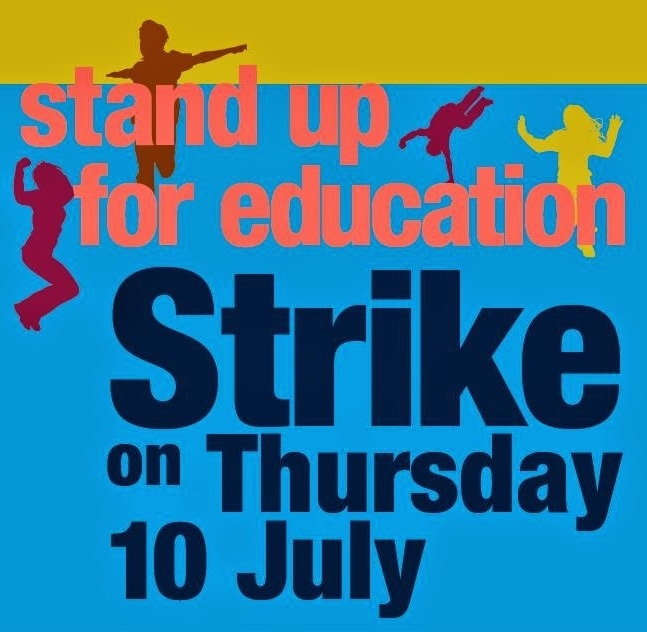 Clearly this is a strike worthy of everyone’s strongest possible support, so please show solidarity standing with local pickets Thursday morning, joining local marches and attending strike rallies. To protect our public services we must stand together with public sector workers and unite with them in breaking out of a spiral of ever-declining pay and morale. In the face of the Coalition’s refusal to enter into any meaningful talks, public sector workers have been left with no option but to strike – and we need to stand with their pickets to ensure that the impact of this action is maximised. Moreover, this action is part of a political fight for the future direction of Britain and its economy, and the political impact of this action is vital. Thursday is an opportunity for Labour politicians to show that they are on the side of the working class. This is particularly welcome from those normally a long way from the left of the Party. If you are unable to get out, support can also be given via social media, such as twitter and Facebook, using the #J10 and #WeAllNeedAPayRise hashtags. UNISON has social media resources for the strike and Unite and PCS both have internet pages with links to the joint union petition. 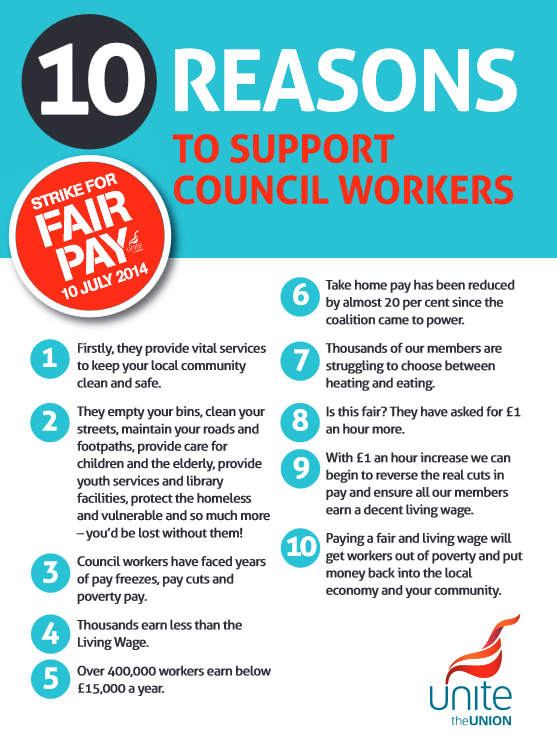 PCS has much campaign information while Unite provides handy tools for emailing councillors to support the pay claim and a summary twitter feed showing all #J10 tweets. 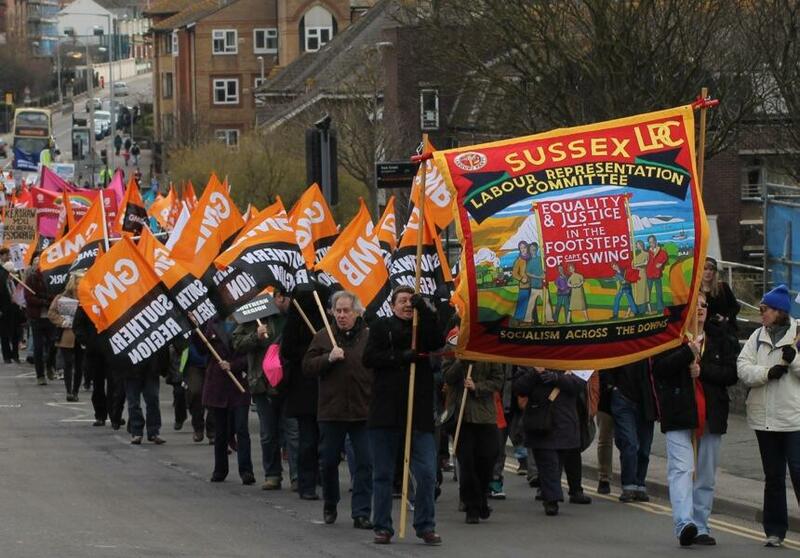 We also suggest that you listen to Radio Sussex as it is likely to cover the strikes and there may be opportunities to call in to support strikers. We list below the local pickets, marches and rallies we know of so far. You can also review a great UNISON South East action map. 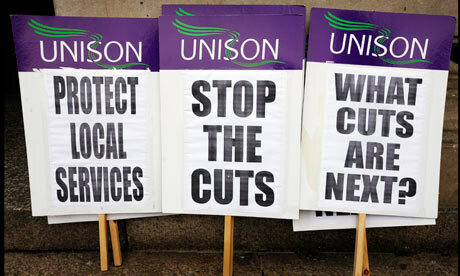 7.30am – 9.30/10am: UNISON & GMB picket at Ocean House, 87-89 London Road, St Leonards-on-Sea TN37 6LW. 10am: FBU picket at Bohemia Firestation. NB: FBU strike continues until 7pm so expect picket to continue until then. 11am: NUT has asked members to assemble at 11am outside Debenhams in the town centre for a march and rally. 4.30am: GMB will begin picketing by the big wheel on the beach. 5am: GMB will begin picketing at the Cityclean Depot in Hollingdean Road. 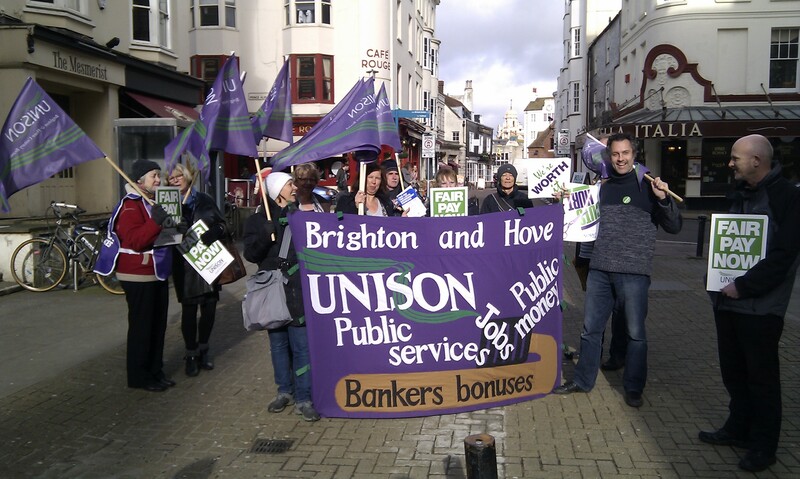 6am – 8am: UNISON will be leafleting the public at Brighton railway station. 6am: PCS will begin picketing the JobCentre and Magistrates Court in Edward Street, Brighton. 7am: PCS will be picketing HMRC’s offices in Upper North Street, Brighton and at the Hove JobCentre. 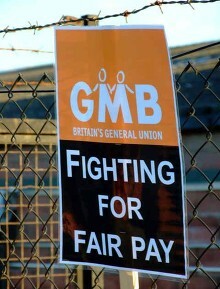 7am: GMB will be picketing at The Royal Pavilion. 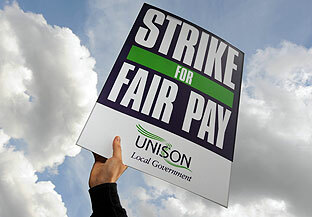 7am: UNISON will be picketing at both Brighton and Hove Town Halls and at King’s House, Hove. 9am: NUT will be picketing at BHASVIC. 10am to 7pm: FBU will be picketing at both Preston Circus and Hove Firestations. Please reply ASAP if you are coming and can help carry the Sussex LRC banner. It needs 2 people to carry it and another 2 to act as reliefs, so we need a minimum of 4 volunteers. At least one of our normal banner carriers will be picketing in London and another is recovering from illness, so please step forward to assist on Thursday. Two marches are assembling from 10am outside the Cityclean depot in Hollingdean Road, Hollingdean, Brighton and also outside Hove Town Hall, at Norton Road/Church Road, Hove. The marches are expected to move-off at 10.30am and will be heading for a rally at midday to be held on The Level, opposite the Open Market at Union Road, Brighton. The marches will meet at Victoria Gardens around 11.30am before combining to proceed to The Level. East Sussex and West Sussex UNISON are reporting that there will be pickets at the various Councils offices and facilities shown below. Many of these are likely to be joined by GMB members and other strikers. Please show solidarity with your local pickets. Lewes – UNISON from 5.45am to 9.30am at the Recycling Depot, from 7.30am to 10am at County Hall and from 7.30am to 10.15am at Southover House. 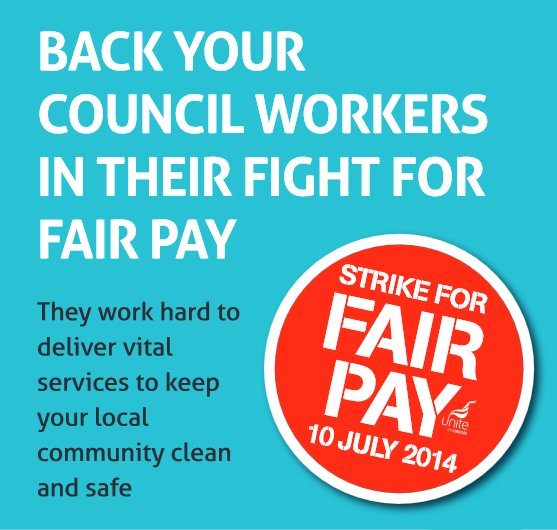 Tories want to make striking in public services even tougher. Your support on Thursday can demonstrate to all politicians how wrong this would be – as was concluded in a recent online debate when 86% of people agreed that workers in essential services should be allowed to strike. Like Owen Jones we say celebrate the strikers this week – they are fighting for us all and will provide an inspiration to others. So see you on Thursday! And hopefully again during the further eight days of strikes by the FBU from Monday 14 to Monday 21 July as FBU members continue their industrial action against the Coalition’s attacks on firefighters’ pensions and reckless cuts to our Fire Services.